At AIRINC, we pride ourselves on our unique data collection process, our collective years of international mobility expertise, and our dedication to providing exceptional service to our clients. As today's workforce becomes increasingly global, the role of HR professionals becomes increasingly complex . We created AIRShare to share informative, anecdotal, and advisory content intended to help you support a mobile workforce. We hope you enjoy our blog! If you have any questions, please contact us at AIRShare@air-inc.com. Gerry currently fills a dual role as a manager of expatriate housing within AIRINC’s Data and Analysis Department and as the manager of AIRINC’s blogs, On-site Insight and AIRShare. As a member of the housing team since 2009, Gerry helps train cost of living surveyors in international housing data collection and analysis methodology, and also assists in the quarterly release of housing and utility data for over 500 locations. Due to the ever changing mobility needs of AIRINC’s clients, Gerry is also working with a product development team to enhance AIRINC’s housing tools to better service our clients’ needs. As the managing editor for content, style, and publication of AIRINC’s blog, Gerry is able to cross-connect his wealth of data experience into valuable content for our global professional following. Before joining AIRINC, Gerry spent two years living as an expatriate in Southeast Asia on a Fulbright Scholarship, teaching and researching international instructional methodology. Lauren joined AIRINC in 2008 working in accounting before shifting into her role as a fulltime surveyor a year later. She has spent the last six years traveling the globe to collect cost of living data for our clients. As a senior surveyor, she mentors our team with the on-site process and in-office analysis upon their return. Since joining in late 2008, Steve drives AIRINC to an enhanced vision and growth strategy to address the ever-changing challenges of workforce globalization. 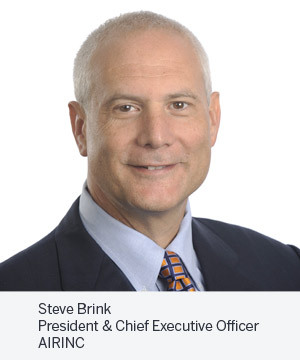 Under his leadership, AIRINC has expanded its global footprint, released innovative solutions, increased the customer base including new verticals and continued to build upon the proud tradition of AIRINC as the premium provider of information, advice and technology in global mobility. Prior to joining AIRINC, Steve was the Global Leader and Worldwide Partner at Mercer responsible for its Information and Software businesses. As part of his global leadership role, he was based in Geneva, Switzerland, and has significant work experience in all regions of the globe. He is a frequent speaker on international HR issues and trends. Prior to his fourteen years at Mercer, he served as an Operations Manager at Towers Perrin, with a focus on HR software tools and global job evaluation systems. Steve has been teaching the Quantitative Analysis course at the WorldatWork organization since 1990. Steve has a B.A. in Economics from the University of Texas at Austin and an M.S. in Economics from the University of North Texas. In Brooke’s current role she is responsible for designing and managing benchmark studies and analytical projects on AIRINC’s Advisory Services team. Her experience in benchmarking includes surveys for major oil and gas, consumer products and pharmaceutical companies. She has also been the lead analyst on numerous transition and integration initiatives within various industries. Brooke joined AIRINC in 2004 and prior to her current role she was a client services manager, responsible for providing services to client accounts in multiple industry sectors including oil and gas, pharmaceutical, financial services, manufacturing and technology. Jeff joined AIRINC in 1992 working as a Client Service Manager for clients in the consumer goods, energy and financial services industries. He has spent 20 years in Client Services helping design customized data systems to support client requirements. Jeff was Managing Director of AIRINC Europe S.A. in Brussels, Belgium, from 2005 to 2010 where he led a US and European based Client Services group specializing in managing European-headquartered companies. He has travelled to more than forty countries and has appeared as a speaker before various seminars and conferences, presenting in English and French. As current Vice President, Data and Analysis, Jeff leads AIRINC’s Data and Analysis group which includes all data collection, analysis and delivery. Growing up, Matt moved every four years around the United States, eliciting a love for travel. During his college years, he studied abroad at the Instituto Tecnológico e Superiores de Monterrey (ITESM) in Monterrey, Mexico and fell in love with both Mexico and Latin America. After college, he moved to Buenos Aires, Argentina where he lived over two years, improving his Spanish and studying Portuguese at the Centro Universitario de Idiomas (CUI) in Buenos Aires. Since joining AIRINC, Matt has specialized in conducting surveys in Latin America while still being able to see much of the world. While in the office, he analyzes survey data for the Housing Team, concentrating on the Latin American region. Madara joined AIRINC in 2001 as Data Analyst & Surveyor in our Brussels office. She has spent the last four years traveling the globe collecting cost of living data for our clients with a special interest in former Soviet Union countries. While in the office, Madara supports the recruiting and training AIRINC’s European survey team. With her love of numbers and strong attention to detail, Madara is currently transitioning from her role as a Surveyor to become a full time Production Analyst. Jeremy joined AIRINC in the fall of 2012 and is responsible for managing AIRINC’s International Tax Guide and tax calculator products, as well as consulting with clients. 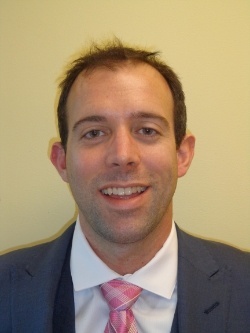 Prior to joining AIRINC, Jeremy spent more than 6 years with PricewaterhouseCoopers’ International Assignment Services practices in Hartford and Boston, providing tax compliance and consulting services to multinational companies and their expatriate population. He received his B.S. with a concentration in Accounting and a Master of Science in Accounting from the University of Connecticut. Jeremy is an Enrolled Agent, a federally licensed tax practitioner who specializes in taxation. Jeremy currently works remotely while he accompanies his wife on assignment in Basel, Switzerland. Zach joined AIRINC in the summer of 2013 as a Data Analyst & Surveyor and for the past three years, he has thoroughly enjoyed gallivanting about the globe, meeting with realtors, and collecting prices for cost-of-living analyses for our clients. Natalie has over five years of experience in human resources and global mobility. Prior to joining AIRINC as a Client Solutions Manager, Natalie worked for APP Mobility working with a wide range of clients on the implementation of their mobility program in China and Hong Kong. Some of her clients include global corporations like Disney, Pepsico, Wells Fargo, McDonalds’ and Apple. She has also been involved in key projects to help Chinese corporations develop and launch their mobility programs. Born in Malaysia and educated in Australia, Natalie holds a Bachelor of Arts in Communications from Murdoch University, Perth Western Australia.